The custom portrait belongs to "capprotti" called "Selfless Scoundrels" on deviantart. I don't fully understand the D&D rules here for these kind of games yet, but they're fun to make characters in and play. I might have messed up my stats a little because of my lack of understanding. But for now I am liking this character and it plays quite nicely. Well, the only odd thing about him is being a merchant. Druid sounds like something you grow into over a long time, same as Monk. Yeah, I was roleplaying it as me and I have done some work before that could be labeled as a merchant once before I got older and became disabled. So I thought why not choose that, and roleplay it like I just gave that life up for an adventure. Kind of random, yes... but intriguing to me. 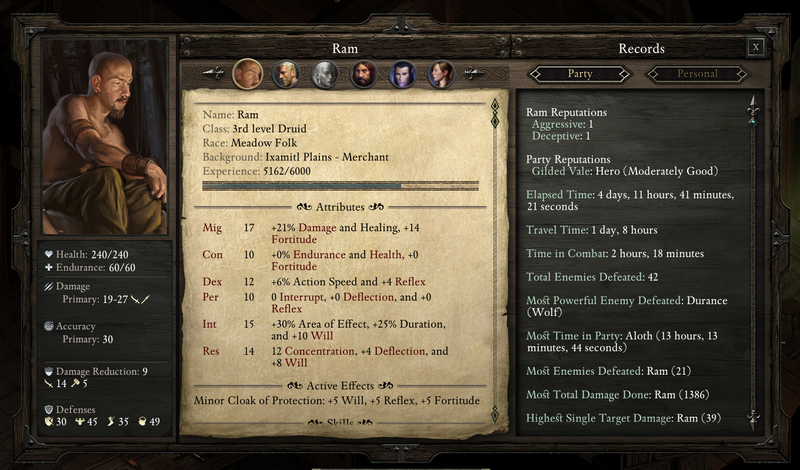 I'd say your stat choices are pretty solid; Looks like a fun character.